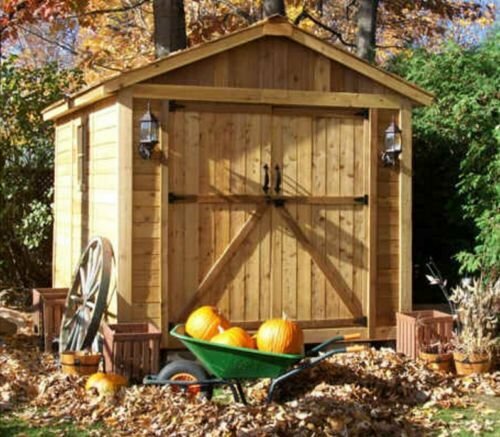 The Outdoor Living Today 8x8 SpaceMaker Storage Shed with Double Doors is the ideal storage space for your backyard. It's made from gorgeous and sturdy Western Red Cedar wood from renewable resources, which comes in precut assembly pieces. It ships unstained and accepts a wide range of finishes, which allows you to create a personalized look. An adorable flower box is included for underneath the window. Assembly time is approximately 2 days for 2 people.